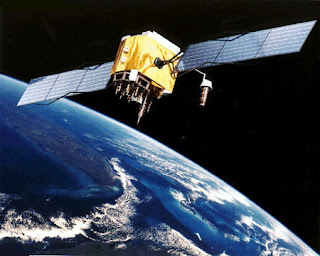 NASA is reporting that 2 old satellites crashed yesterday over Siberia. 500 miles over Siberia that is. - At the beginning of this year there were roughly 17,000 pieces of manmade debris orbiting Earth. - There are people with the title "orbital debris expert". - orbital debris is now the biggest threat to a space shuttle in flight, surpassing the dangers of liftoff and return to Earth. So this begs the question: How the hell does a satellite orbit anyway? Basically once it is placed in motion at the right velocity - it falls towards the earth at the same rate the earth curves. So, it never comes back to earth - eva!